Every other month, Art Speaks features a member organization or guild whose collection is housed in Textile Center’s library. 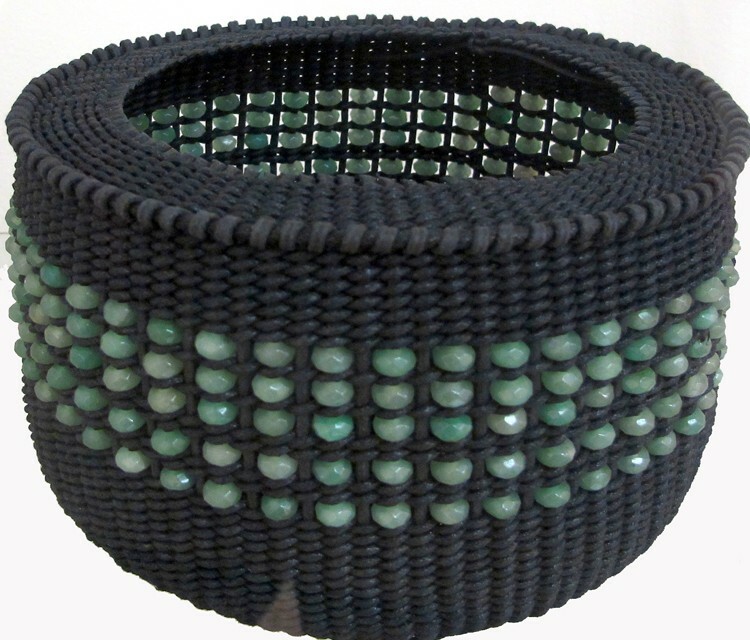 National Basketry Organization was organized for the purpose of promoting the art, skill, heritage and education of traditional and contemporary basketry. By Native Hands: Woven Treasures from the Laruen Rogers Museum of Art in Laurel, Mississippi (c) 2005. This catalog of baskets give us a close look at the varieties of Native American basketry, revealing the cultural history as well as the express of the weaver’s artistry. The Basketmaker’s Art: Contemporary Baskets and their Makers, edited by Rob Pulleyn, (c) 1986. Showcasing the diversity and creativity of the emerging basketmaking craft is the work of 26 important basket makers of the 1980s. The artists share the joys of the craft and describe the development of craftsmanship and skill in their own words. Basketry: The Shaker Tradition, by John McGuire (c) 1988. Illustrating the technical artistry which has produced some of the finest craftwork of this country, as well as the infinite variety of forms used by the Shakers, McGuire also details the talented and dedicated people from this community of faith. The author, a master basketmaker in his own right, speaks from a deep knowledge of the Shakers and basketry. Included are step-by-step photos showing you how to create your own masterpieces. 500 Baskets: A Celebration of the Basketmaker’s Art, (c) 2006. A survey of current work using an endless array of materials, coupled with innovative techniques which is inspiring new approaches to basket making resulting in a diversity unknown before the 20th century. Fiber artists flourishing simultaneously with a new generation of traditional basketmakers in the field of basketry is shown in this collection of 500 interpretations of the basketmaker’s art. Baskets from Nature’s Bounty by Elizabeth Jensen (c) 1991. This book provides thorough information on identifying, collecting, and preparing hundreds of plants for use in weaving, plaiting, twining or coiling baskets. There are 20 complete basket projects included, making the “how-to” clear.